Looks like Rarewares build is fastest without patches. But the problem is 32bit & 64bit versions don't null and three pops appear in beggining of one of the files (when null compared). I have no idea why if they use same Intel Compiler. Maybe it should be recompiled again? What program do you use for this comparison? Those pops are not audible for you? I've re-compiled and uploaded the lame bundles. The 32 bit version appears unchanged, but there is a difference with the 64 bit version. Personally, I can't hear a difference, but maybe someone can do a more exhaustive check. I have compared 4 files encoded with your 64-bit version compiled in October and in December. 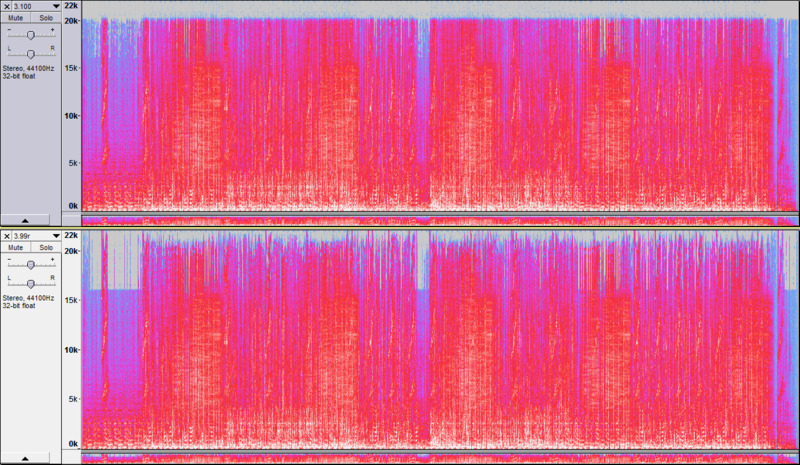 Binary comparator in foobar2000 says "no differences found". BTW, I am converting using foobar2000 converter. Is it in any way important that I am inititating 64-bit LAME encoder from foobar2000 which is 32-bit program? I didn't expect there to be any difference between the Oct and Dec compiles, I just re-checked the compile options just to be sure that I hadn't missed something the first time round. I also usually convert using Foobar as you specify and, no, that isn't an issue. I didn't expect there to be any difference between the Oct and Dec compiles, I just re-checked the compile options just to be sure that I hadn't missed something the first time round. "Slivka" was saying that your "32bit & 64bit versions don't null and three pops appear in beggining of one of the files (when null compared)" so I thought you are recompiling to check if this is eliminated Are those "pops" even confirmed? As I understand 32-bit and 64-bit compiled versions can produce slightly different files in encoding, but I don't know what he meant by "three pops in the beginning". Three pops that can be heard or just three bits with different values? I may be the sole user of lamedrop (xpd) . . .
Me too. LameDropXPd has been my "go-to" Lame frontend for a long time. New LamedropXPd compiles uploaded with the narrative corrected. Thanks John. And for all the work you do for making our music enjoyment better. Why when compressing to V0 there's 20kHz lowpass on 3.100 when in LAME 3.99 that lowpass was removed? I know I should listen with my ears not eyes and I'm not saying 3.99 sounds better because of this, but I'm just curious why it was removed in 3.99 and then added again in 3.100. Thank you for help. So no, there's no 20 kHz lowpass. I'm using LAME 3.100 64bit build from RareWares if that matters. I just tested 3.100-2 (-2 being a distribution second edition, -1 would be the first release of that version). Top is original, bottom is 3.100 -V0. It seems that there is some bug in original build from tmkk. On some files when encoding with -S --noreplaygain -V 0 encoder crashes with error and resulting mp3 file is corrupted. File is too long to share here, but if someone is interested, i can send link in PM. It is track #2 from CD #14 from compilation "I Love Disco Diamonds Collection"
tmkk already reported the bug and a fix is in SVN. Seems like you are running a debug version.